Located in the beautiful Golfo Dulce in Southern Puntarenas province, the former bustling banana port of Golfito sits in a majestic bay area surrounded by lush tropical wildlife, gorgeous flora and fauna, and some of the most stunning oceans vistas in the entire country. The Casa Roland Hotel Group has been able to create for Golfito tourists a relaxing and comfortable place that presents excellent options for gatherings, sports and night recreation. Casa Roland Marina Resort lies in Golfito´s historic “Zona Americana” and will offer 2 varieties of accommodation; on the main level there are 24 luxury rooms and 6 suites. On the lower level there are 23 standard rooms, or corporate rooms, to accommodate the business traveler. 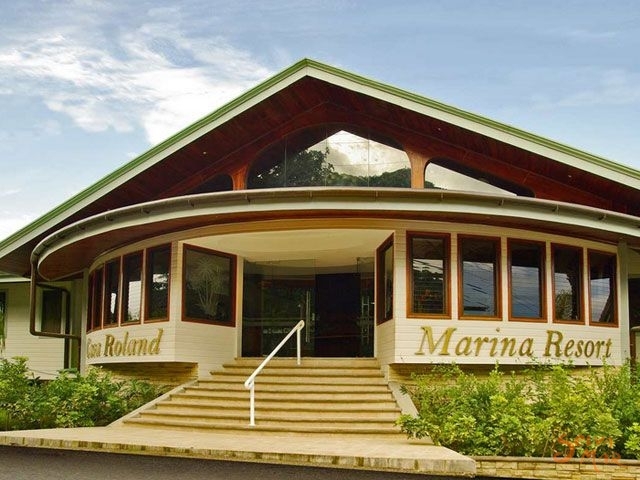 Casa Roland Marina Resort is the perfect gateway to Corcovado National Park and the beautiful southern area of Costa Rica. Our guests will also have access to different services and tours organized by our team at the lobby of the hotel, such sport fishing, one of the most famous hobbies of the area. As a second phase of the construction of this fantasic hotel is the Sports Complex. Offering our guests the entertainment of a pool, squash courts, Club House comforts, a gym equipped with machines of the highest technologies, and tennis courts and spa services. The Casa Roland Marina Resort offers our quests a vacation of adventure, sport and enjoyment of the highest quality. 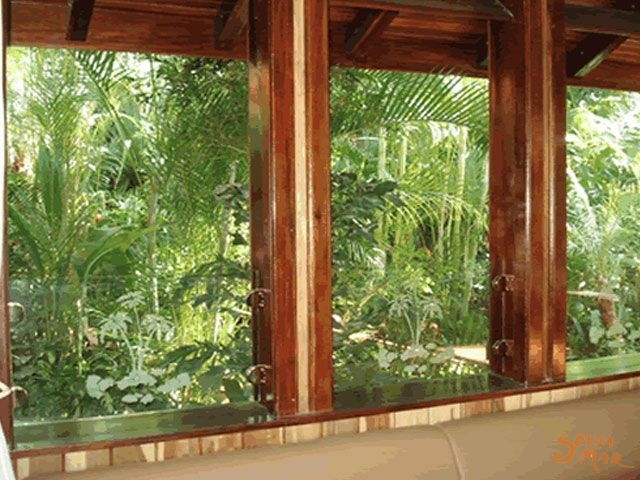 A rustic and tranquil place used by many people as a stopover before heading to the stunning beaches of Playa Zancudo, Pavones, and Piedras Blancas National Park. The port town of Golfito (literally meaning 'little bay') is located in Puntarenas Province on the southern Pacific Coast of Costa Rica, near the border of Panama. The town lies on a narrow strip of land between the bay and a hill and consist of two parts, the town proper and shopping area to the south, and a residential area near the port. Still further north are the duty-free zone and an airstrip. From the northern section, which was the old United Fruit Company headquarters, trails go up to the Refugio Nacional de Vida Silvestre Golfito (Golfito Wildlife Refuge) on the hill, which extends across to the other side of the bay and is part of the National Parks of Costa Rica. With some of the highest storied rainforests in Central America (30 - 45 metres), most of the coastal lowlands surrounding the town are characterized by tall evergreen forest. One of the wettest places in the world, the region receives an annual average of 400 - 500 centimeters of rainfall. 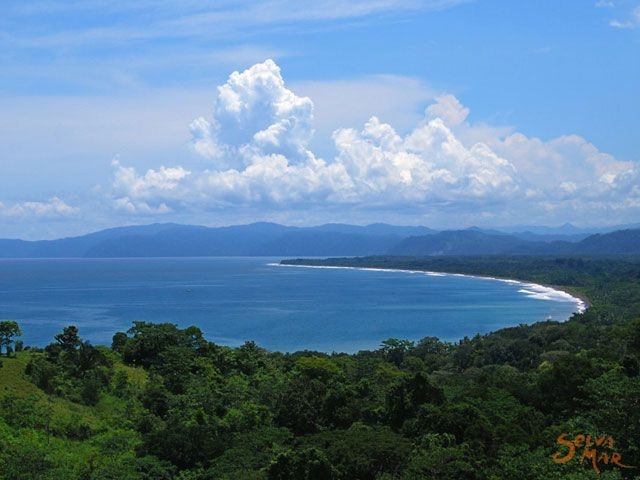 Golfito Bay (an English misnomer because it literally means 'little bay bay') is within the larger Golfo Dulce, and separated from the open Pacific Coast by the famous Osa Peninsula. Frequent ferry boats cross the Golfo Dulce from Golfito to Puerto Jimenez, which is the primary access point for the Osa Peninsula and the splendid Corcovado National Park, one of the few remaining sizeable areas of lowland tropical rainforest in the Pavones world. The beaches in the region are some of the most beautiful in the country. Calm water provides for many peaceful tourist activities, even during the tide fluctuation, which averages about 9 feet. The town offers small marinas, yachting and boating services, sportfishing, and a destination for cruise ships. Much of the tourism in the Golfito area focuses on the sportfishing industry. Many of the lodges and hotels have their own sportfishing fleets and experienced boat captains. Yachting, boating, water sports and beach activities are also popular pastimes. The beaches south of Golfito — Zancudo, Pilon and Pavones — offer excellent surfing. The best way to get to Golfito is by plane, as the route from San Jose can be long. Though the scenic tour is worth it if you have time to spare. The Golfito Airport sits amid a green field with a grassy landing strip, while the airport services here are basic, with a small concrete building for a terminal. Once you get here, there should be no problem getting around as there are plenty of taxis awaiting your arrival, who will drop you off at Casa Roland Marina Resort. They are very familar of it's location. By Bus: there are two direct buses from San Jose to Golfito. (07.00 am / 03.00 pm) Duration approx. 7 hours. By Car: On the Interamericana turn right by Rio Claro, turn right to Golfito.